Build a house on a hill, it falls to the sea. 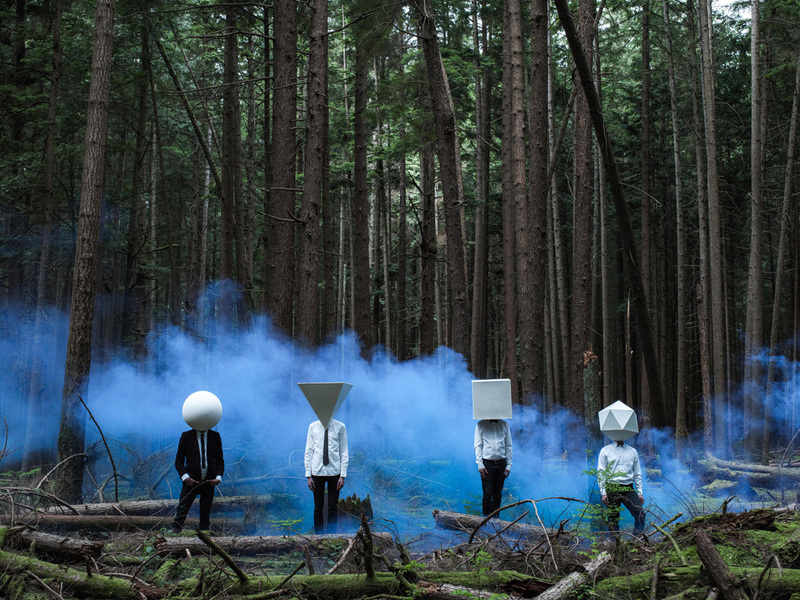 “‘A hopeful utopian future’ is how one of our friends best described our sound,” Ian Bevis, frontman of Vancouver based electro-dance band Bear Mountain, explains. Born and raised in Vancouver, Bevis’ affinity for experimenting with sounds and beats on his MPC grew quickly. He left Vancouver for the University of Victoria where Bevis became friends with, then Entomology major, guitarist Kyle Statham and the two began collaborating on various styles of music. A few years and a few bands later, Bear Mountain was officially born as the bedroom project of Bevis and Statham in 2011. With their name drawing reference from the Jack Kerouac classic “Dharma Bums”, the two set out to find an alternative sound that blended live instrumentation with a dancing heartbeat. Soon after the recording of their first bedroom demos, the duo felt their sound was lacking a strong backbone and enlisted the help of Bevis’ identical twin brother, drummer Greg Bevis. Bear Mountain’s tight live performances and eclectic blend of sounds caught the attention of, now band member, Kenji Rodriguez. Flipping the traditional role of “band member” on its head, Rodriguez serves as the band’s visual and creative director. Also a collaborator at Tangible Interaction, one of the world’s premier trailblazers in interactive visuals and lighting, Rodriguez manipulates projections and lights live right from the stage bringing a unique look and experience to every Bear Mountain performance. “Two Step”, the opening to Bear Mountain’s debut album, “XO”, begins with a tropical samba-style drum loop layered with tight, live drums, lush synth sounds, and chopped vocal samples. Hooky synth lines and Bevis’ powerful and emotive vocals lay atop nostalgic house-drenched production on “Faded”, the midway point of the album. “XO” is a collection of unmistakably fresh songs that manage to capture the feeling of the infinite and the impossible all rolled into one. “XO” was made available on May 21, 2013 worldwide through Last Gang Records.